Jenner by the Sea has many options available for you to extend your stay. We have the Jenner Inn, The River's End Cabins, vacation rentals, and nearby campgrounds and RV parks. Tel: (707) 865-2484 ext. 111 for room availability and pricing. Our rooms are designed for couples looking to rejuvenate. Renewal begins by having no TVs, no telephones, and no data ports. If the evening’s sounds of the river and ocean frighten you ... then this isn’t for you. All of our cabins have spectacular vistas of the romantic Sonoma Coast. Description: Casa Panama is a spectacular setting overlooking the Pacific Ocean and the Russian River Estuary with breathtaking views and sunny living areas. This well-appointed property is surrounded by thousands of acres of parkland and open space. Casa Panama sleeps 8-10 with 4 bedrooms and 3 baths. Or rent Casatina, Casa Panama’s ground floor one-bedroom and bath with kitchenette and sleeper sofa. Note, when renting Casa Panama it includes the Casatina floor. We provide a variety of vacation rental homes that are unique, private, tranquil, exceptional views, waterfront or extreme. campsites along the river with spectacular flora and Abundant Wildlife. Salt Point State Park is located on the rugged northern California coastline.There are 109 walk-in camp spots. Campsites $35. 25050 Highway 1, Jenner. The shoreline within the 6,000-acre park features rocky promontories such as Salt Point which jut out into the Pacific Ocean. The family sites and group campground are on our reservation system by calling 1-800-444-PARK (7275). The hiker/biker sites and overflow camping are on a first-come, first-served basis year round- no reservations are available for these sites. Campgrounds consistently fill on weekends from April 1 to the end of September. Reservations are strongly recommended. For campground maps please see link to the right, but keep in mind that specific sites cannot be reserved. There are 98 campsites with hot showers, flush toilets, and a trailer sanitation dump station. Maximum trailer length is 31', no hook-ups are available. Call Reserve America for a reservation 48 hours to 7 months in advance. 1-800-444-PARKIn our peak season there are 99 campsites available. We offer token operated hot showers, flush toilets, and a trailer sanitation dump station. Maximum trailer length is 31' and hook-ups are not available. The day use area includes a boardwalk that overlooks a classic sandy beach. No dogs, fires or horses are allowed on the beach as a measure to protect the snowy plovers. The Western Snowy Plover is listed under the Federal Endangered Species Act as a threatened species. Loss of nesting habitat is due to human development, horses, invasion of European beach grass and predation by ravens, foxes, domestic dogs and cats. Call Reserve America for a reservation 48 hours to 7 months in advance. 1-800-444-PARKWright's Beach offers 27 developed campsites located adjacent to the beach. There are no showers, but registered campers may use the hot showers at Bodega Dunes Campground which is approximately 5 miles south). Maximum trailer length is 27' and hook-ups are not available. Each site has a picnic table, fire ring and a paved parking spur. Running water and flush toilets are available. When the campground is full, the overflow area on either side of the kiosk may be used for self-contained vehicles on a first come, first served basis. Overnight camping is not permitted in the day use area. Reservations are recommended, especially on the weekends, holidays and during the peak season. 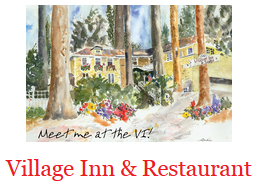 Description: The Village Inn & Restaurant is a comfortable, casual country Inn located on the Russian River. Sleep under towering redwoods in one of our ten guest rooms. 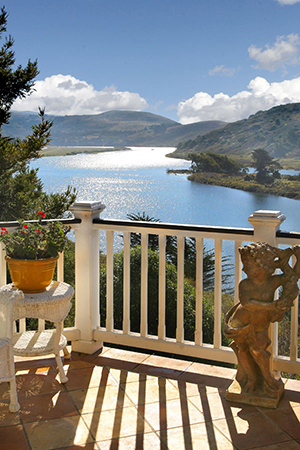 Most rooms have panoramic Russian River views with private balconies while other rooms enjoy peaceful garden views. We feature the best in European-style organic mattresses and bedding for a perfect sleep experience. Enjoy our exquisite gardens, gazebo, lawn and terraces overlooking the Russian River.